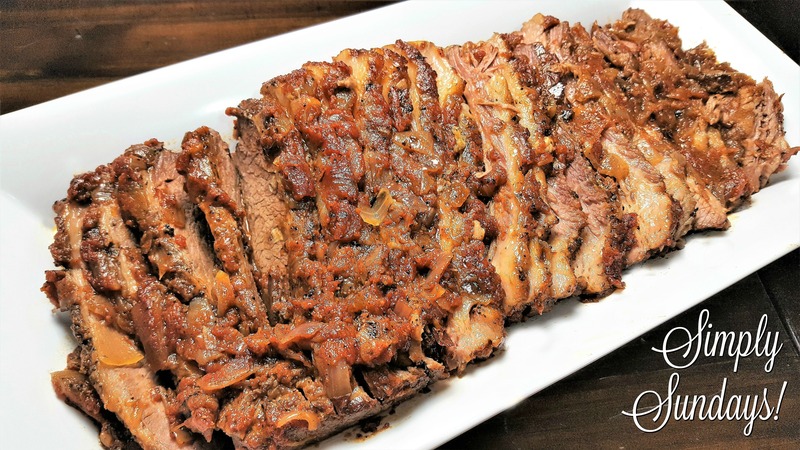 Passover Brisket – Simply Sundays! Serve the brisket drizzled with some of the pan juices! These leftovers (if you have any) make awesome sandwiches! Love to hear that this recipe never fails – this is exactly what I have been looking for! And I am very excited to try this brisket because it seems to tick all boxes for me! Yum. Thanks Laura, let us know if you try it out! Love the step by step photos for this! Makes it so much easier to follow and make! Oh my word! This looks totally scrumptious! I love the caramelized onions on the top! Can’t wait to give this a try! This passover brisket recipe looks delicious! I’ll be honest, I have never made a brisket before because I find it intimidating. However, I like how you clearly laid out all of the steps, making this a perfect guide for making my first brisket! So glad to hear! Let us know how it turns out! Pingback: Favorite Rosh Hashana meals – Simply Sundays!